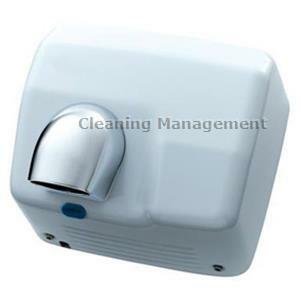 Electric hot air hand dryer Asciugamani white metal, working with photo camera. Turned on with infra-red system with automatic stop. Dries hands in 15-18 seconds. With security system. Air is turned off after 1 minute of continuous work. White painted metal. Anti-vandal.